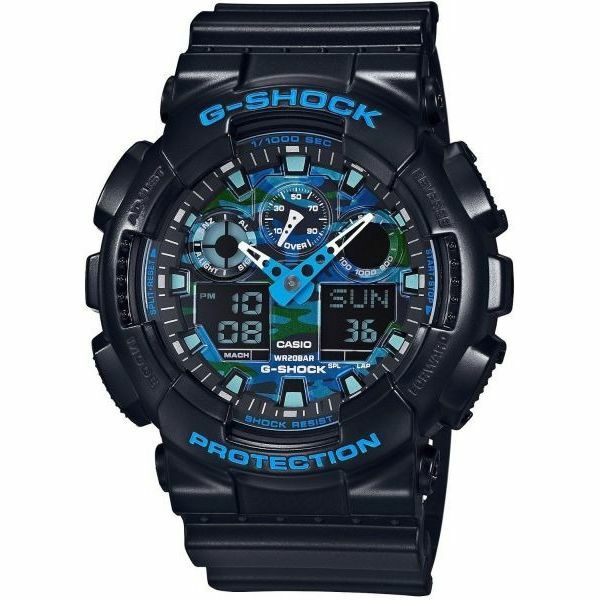 Introducing a collection of new G-SHOCK models whose 35mm diameter faces and large cases give them a look of power and strength. Dial rings and raised hour markers create three-dimensional depth that gives the face plenty of character. 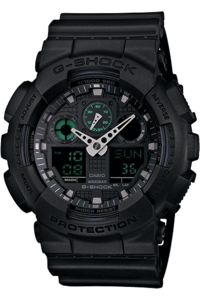 The popular G-SHOCK three-dial face design incorporates one analog dial in the center, with digital dials on either side. 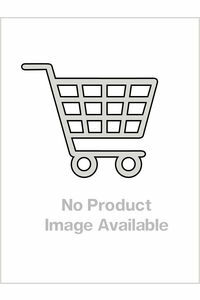 These watches are designed and engineered to deliver outstanding shock resistance and water resistance, as well as anti-magnetism. Over-sized buttons come with a checkered anti-slip surface to make operations fast and sure. 1/1000-second stopwatch, velocity indicator, World Time, 5 alarms and much more provides these models with unmatched function and performance. 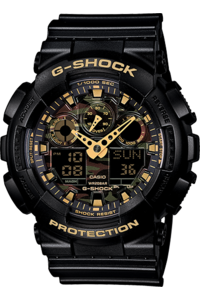 Introducing a collection of new G-SHOCK models whose 35mm diameter faces and large cases give them a look of power and strength. Dial rings and raised hour markers create three-dimensional depth that gives the face plenty of character. 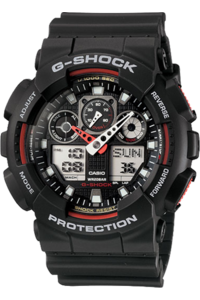 The popular G-SHOCK three-dial face design incorporates one analog dial in the center, with digital dials on either side. These watches are designed and engineered to deliver outstanding shock resistance and water resistance, as well as anti-magnetism. Over-sized buttons come with a checkered anti-slip surface to make operations fast and sure. 1/1000-second stopwatch, velocity indicator, World Time, 5 alarms and much more provides these models with unmatched function and performance.